...No, it can also be shoes! Now that the snow is gone I can finally use them and I have received so many compliments. 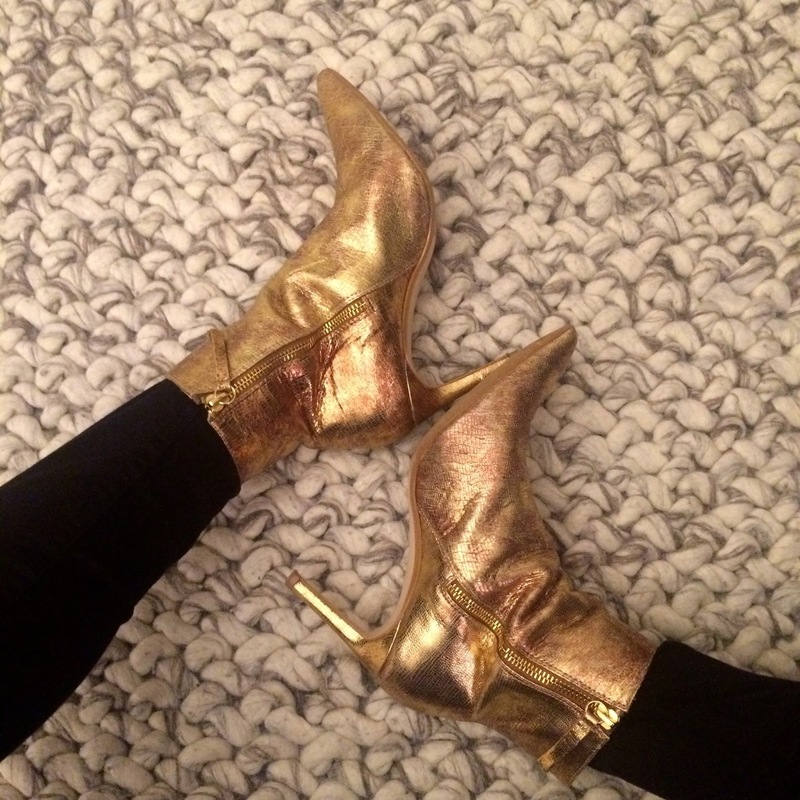 Gold leather booties from Zara - last season.